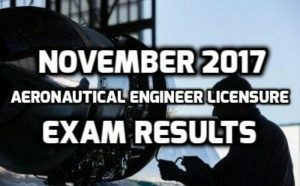 From the recently concluded NOVEMBER 2017 AERONAUTICAL ENGINEER LICENSURE EXAM, the Professional Regulation Commission (PRC) already revealed the names of those who passed the board exam successfully held last November 14, 2017. As detailed by the PRC, 376 applicants took the scheduled examination and 235 passed the board. The commission’s Board of Aeronautical Engineering administered the recent exam held in Manila. Chairman and Engr. Ernesto B. Ferreras Jr. headed the examination and assisted by board member Engr. Redentor C. Malia. The PRC was able to release the names of those who passed after 2 working day of the final scheduled board exam. As stated through prc.gov.ph, the Professional IDs and Certificate of Registration issuance of registration will start on November 28 until November 29. It is very important for the passers to visit the site and check the necessary guidelines in advance. PRC (Professional Regulation Commission) has publicly announced the results for the November 2016 Aeronautical Engineer Licensure Exam. Out of 314 takers, 170 passed the examination. 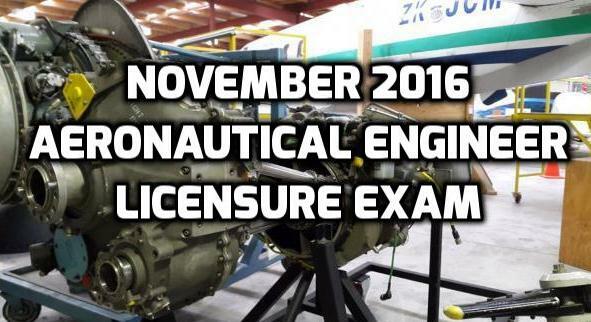 The tests were given by the Board Of Aeronautical Engineering on November 8, 2016. The results were released two working days after the examination. The members of the Board of Aeronautical Engineering who conducted the licensure exam are Engr. Ernesto B. Ferreras, Jr., Chairman and Engr. Redentor C. Malia, Member.